There is a reason why Blu-ray discs won the high definition optical disc format war despite being costly. Even the strongest supporter of HD DVD, Toshiba, had to surrender to BD’s superior quality, but wasn’t it inevitable. As Bluray offers almost double the disc space than HD DVD’s, it was possible to store high definition audio and video data. Therefore, the audio and video quality is considerably better than in DVD formats. 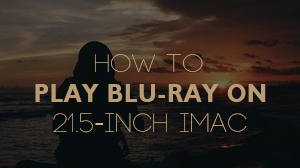 Due to the large amount of disk space available, large amounts of high definition data can be stored on a Blu-ray disc. It can store a high definition video of up to 1920x1080 pixels at bit rate of 40 Mbps. While HD DVD only supports the MPEG-2 format, BD also includes MPEG-4 AVC and SMPTE VC-1. Many studios choose to use different formats for different data on one disc. Therefore, a Blu-ray player must be able to decode all three of these formats. 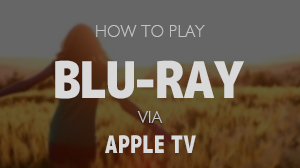 Macgo's Mac Blu-ray Player supports all of these BD video formats plus many other videos, images and audio formats. However, when talking about video codecs, one needs to know how each of these formats differ from each other. This is also a lossy format used in HD DVDs. In a lossy format, bits of data are lost during the coding and compression process. Despite being in lossy format, MPEG-2 is a high definition codec and not optimized for low bit rates. It was used in the early Blu-ray discs, but most studios now prefer using more advanced codecs. 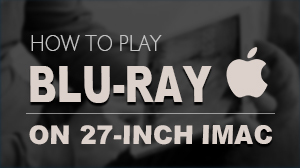 It is now the most commonly used standard in Blu-ray discs. It is capable of delivering excellent HD quality even on low bit rates than MPEG-1. This is one of the reasons why this is also the preferred format for online video streaming. This codec includes a lossless PCM macro block representation mode. In this mode video data samples are represented directly. This puts a limit on the quantity of data to be placed on each block. Another interesting technical feature of this format is flexible interlaced scan video coding that allows 16x16 Mac-Pro blocks in field mode. It allows resolution of 4096x2304 pixels at up to 26.7 Mbps. VC-1 is essentially much advanced design than other formats supported by Blu-ray discs. It supports compression of interlaced content without converting.